It has also become the fourth Tamil movie to earn Rs 200 crore worldwide. Thalapathy Vijay's Mersal has been making waves at the national as well as the international box office. It has surpassed records held by Vishwaroopam in the US, Kabali in the UK and is very close to breaking Enthiran's record in Malaysia. Mersal's official handle tweeted that the movie has now made Rs 210.5 crore approximately worldwide in just 12 days. #Mersal#12Days Worldwide Gross - 200+Cr. 4th South Indian film to Cross 200Cr Gross. Mersal's outstanding collections were jumpstarted by its exceptional earnings on its opening day. It had earned Rs 43.50 crore worldwide on its first day itself. According to reports, Mersal had witnessed 94 per cent occupancy on its opening day. In fact, a Forbes report mentioned that Mersal saw a bigger opening than Aamir Khan's Dangal and Shah Rukh Khan's Raees in the US. As of now, Mersal has collected Rs 68 crore abroad. The latest collections report must come as a relief to the makers who were facing a revocation of the censor certificate up till a few days ago for their take on GST and Digital India. The Supreme Court dismissed the petition filed by an advocate who said that Mersal shows India in a poor light. 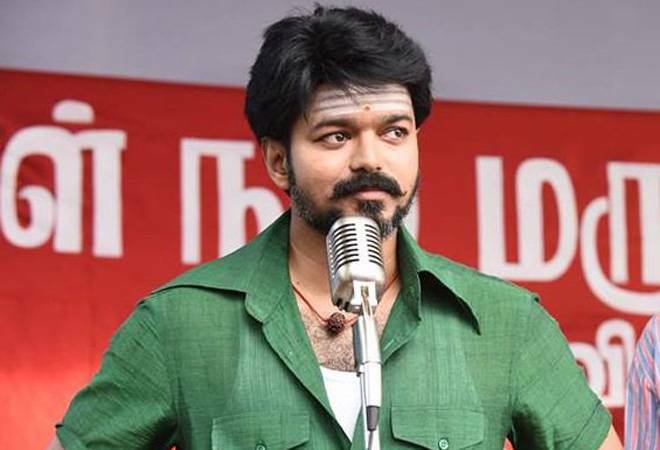 If not anything else, the controversy could have affected Mersal's Telugu version, Adhirindhi that was scheduled to be released on October 28 but has been postponed. Mersal has received mostly positive reviews and Vijay has been praised by critics for being in his top form. The story revolves around two brothers Maraan, a doctor and Vettri, a magician, who are separated as children, after their parents are murdered. They eventually come together to defeat the forces that tore their family apart. The movie also stars Samantha Ruth Prabhu, Kajal Aggarwal, Nithya Menon and SJ Surya.